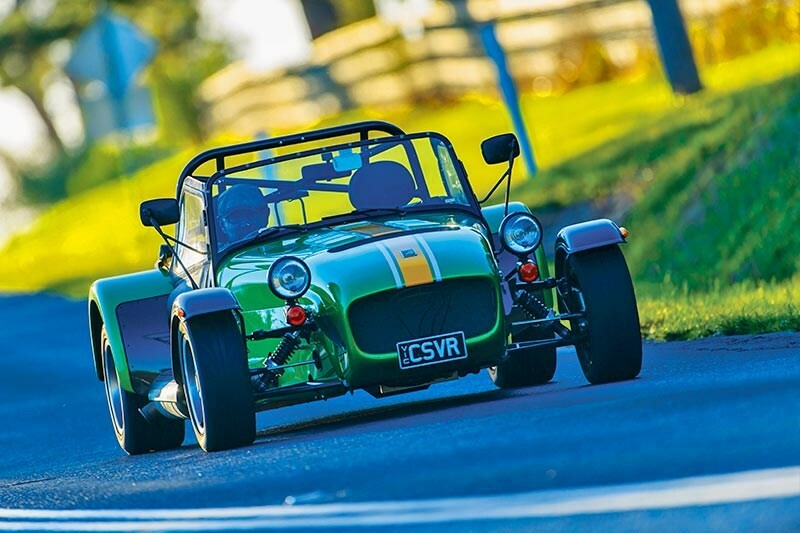 Here’s a confession: when the Ed rang to set up a drive in the Caterham Seven 485, I wasn’t over the moon about it. When I was a kid a local guy in my town of Devonport, Alan Lynn, bought a new Lotus Super 7 from the Geoghegans and raced it against my dad. As I grew up I always had this little thing about clubmans but I grew out of it and I’ve never owned one. I’ve since driven plenty of them at track days. However I wasn’t that excited about driving this one because they’re often just little cars with no room. Even so, the 485 represents 50 years or more of evolution. First impressions are mixed but by the time I’ve gone about three or four kay, I’m thinking this is a crazy thing. It crackles and pops and it’s got a really sharp throttle. It’s obviously got a special engine, it feels like a lightened flywheel and a really sharp throttle response. It’s not just a little car with a generic engine. It’s a Ford engine and it’s obviously had the work done on it. It’s really quirky and the more I drove it the more quirky it became and the more I liked it. Conceptually it’s really very old-fashioned, but it’s been comprehensively updated over time. 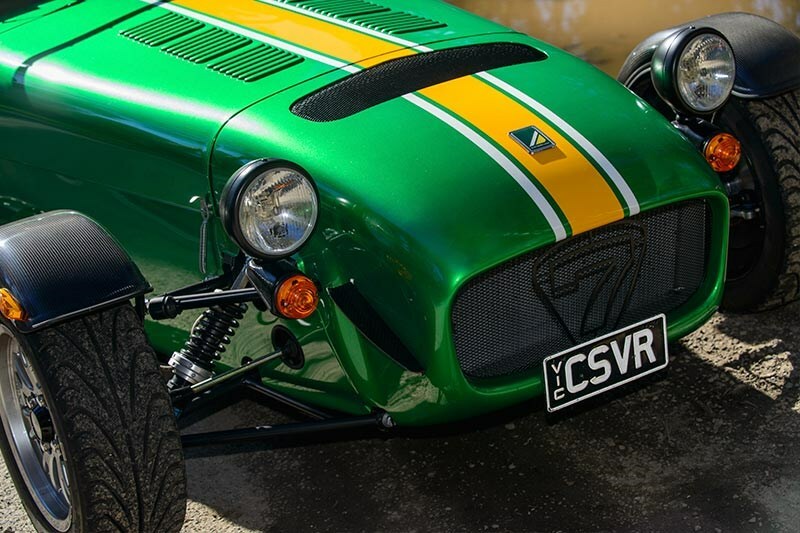 The car’s roots belong with the Lotus 7, which was launched by Colin Chapman in 1957. 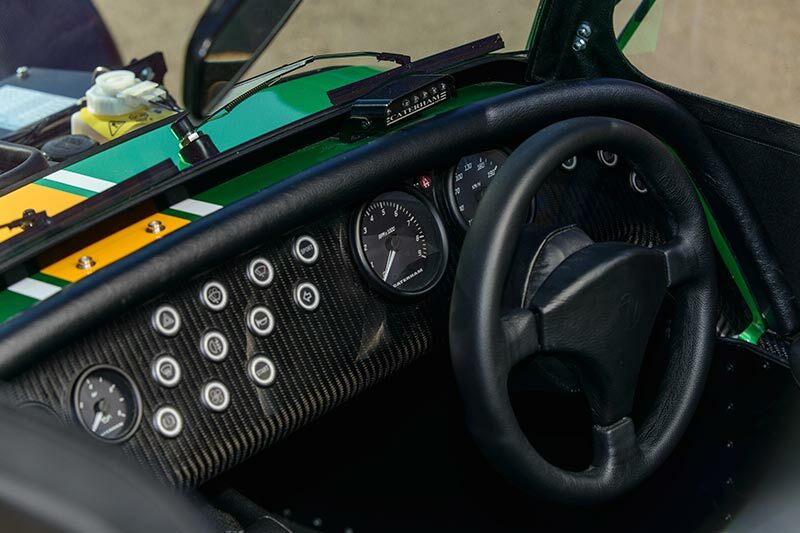 It was the car that really got the Lotus name established and remained the mainstay of the company in those formative years. 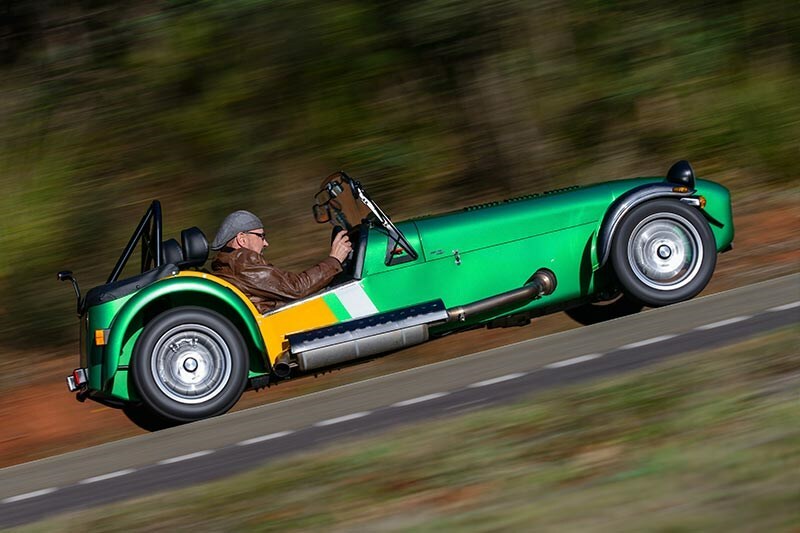 It also paid for the racing and the development of the Lotus Elite and Elan. Through it all it was the 7 that kept enough cash flowing for Lotus to stay in business. 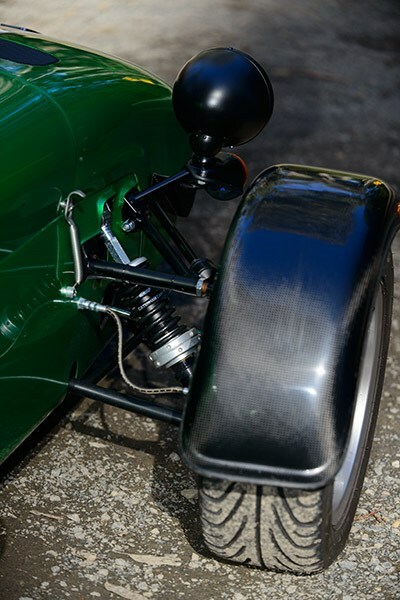 Chapman had ambitions to move upmarket and, in the seventies, was toying with the idea of ceasing production of the 7. At the time, his biggest dealer was the Caterham Sports Car Company south of London, which persisted in ordering batches of the car. When they got wind of the idea that Chapman wanted out, they bought the rights. However they could no longer call it a Lotus and needed a new name for the car. 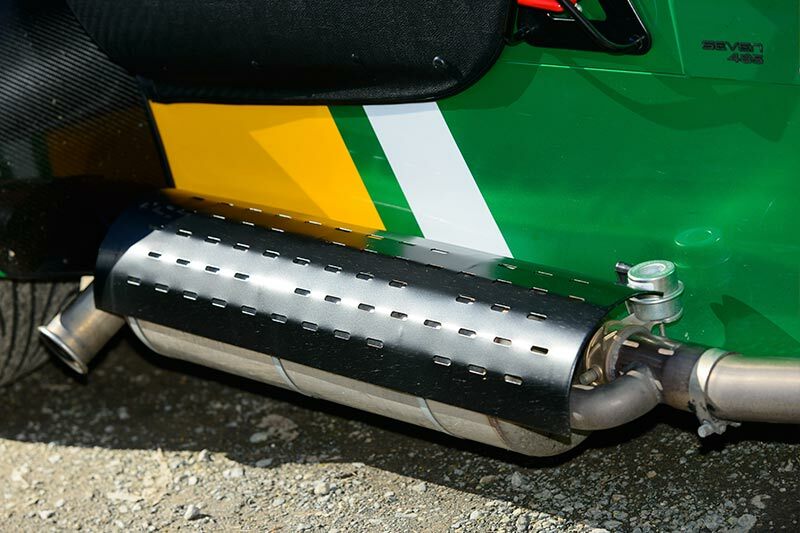 It was an issue solved by their customers, who were already calling the machines Caterham Sevens. The cars were gradually developed over the years, but importer Chris van Wyk says the big change happened in 2000, when they launched the CSR. It was a bigger car with a fully independent rear plus inboard front suspension. 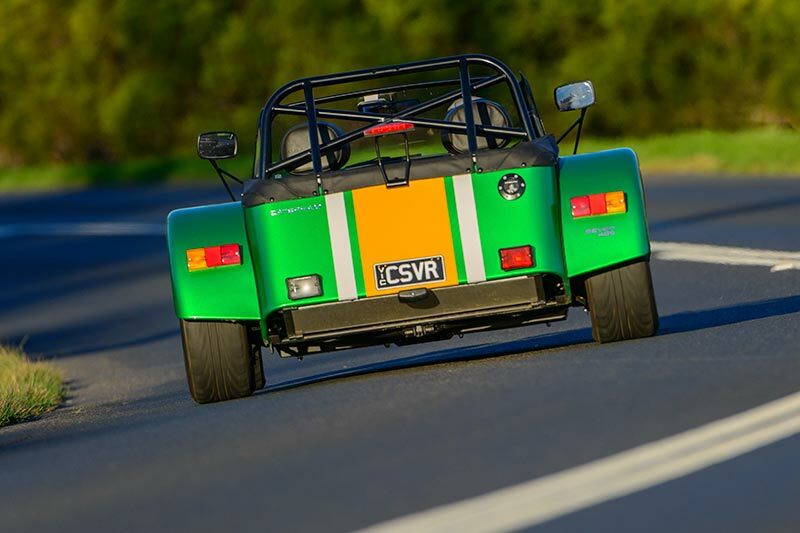 There was a spin-off SV chassis, which was 110mm wider and 18mm longer, which meant you get bigger people in it and it met changed Australian Design Rules. A payoff is you can get someone as tall as 6’7" into this chassis, with the lowered floor, which provides a roomier but more race car-like position. The chassis is running full independent suspension all round, with Eibach springing and Bilstein dampers with a lot of built-in adjustability. 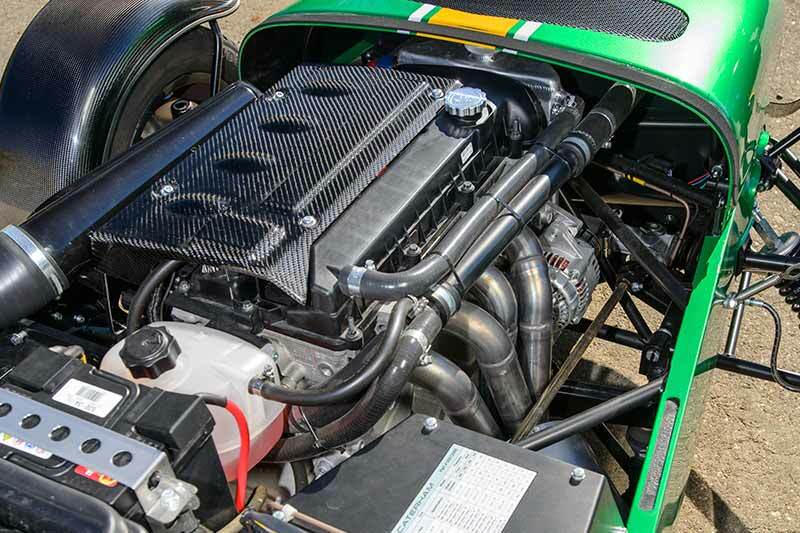 Pushing that along is a much-modified two-litre Ford derived engine, claiming a healthy 177kW. That’s mated to a six-speed close ratio gearbox. It’s so quick! I know road cars can feel quick on the road and then prove not to be on the race track. But this car is genuinely quick. It accelerates like a rocket, it revs like crazy. It has a ‘power’ button on the dash that lifts the rev limit from 8000, which is plenty, to 8500. I generally only took it to 7000 and it’s singing away – it shifts! It’s not a wind in the hair experience you’re having, it’s a fast experience. It’s like what a big fast motorbike would be like, but it’s got a bit of room. It has really close ratio gears, it hardly drops any revs. It’s a six-speed H-pattern with a stubby lever and short throws. You grow to love it. It’s a flexible engine, so you can minimise gear-swapping. The driving position (this car has the lowered floor) is awesome. They’ve taken all the things that have been wrong with clubmans over the last 40 years, and fixed them. The ride and handling compromise is beautiful. Whoever is their chassis engineer knows what they’re doing. It’s compliant with lovely wheel control. Despite all that, it still looks like the car that Alan Lynn bought in 1965. You could take this to an event like the Winton 300. You could drive it up there, put a set of semi slicks on it, race it for the day and drive it home again. You wouldn’t wear anything out as it weighs nothing – it’s about 675 kilos for 240 horsepower. It’s got a heater and you’re out of the wind, so it’s pretty comfortable. This car was ordered with ‘little’ 13-inch rims that work well, with a soft ride and they hang on quite well. It’s a really thrilling car to drive and I’m a bit tempted to buy one. If you drive along at the speed limit in a high-end modern car, like an M3 or a C63, often the better the car the worse it is to drive at the speed limit. This thing still feels fast when you’re doing the speed limit, because you’re low and looking up at truck wheelnuts, you have the sound and the wind and the thrill – it’s good. You get a motoring thrill, without doing 200km/h. Van Wyk agrees. 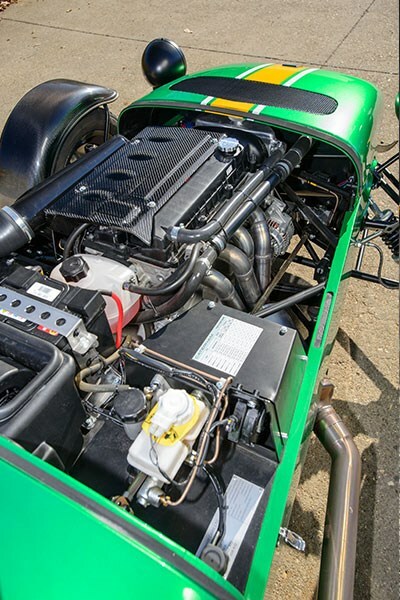 "Many cars today are so remote, but the Caterham is a very mechanical car and like they used to be. It’s a very light and tactile car. 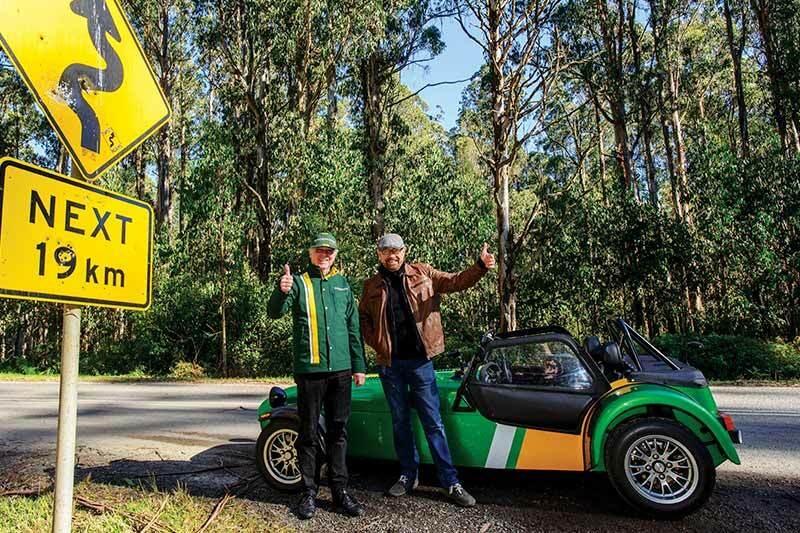 It’s the lightest car you can buy in Australia," he says. The options list is pretty extensive, with additional carbon-fibre panels (the front wings and dash are already made of it), track-day upgrades and upgraded trim. As is, they start at $109,000 (plus ORC). It’s a substantial price, but I can’t remember having more fun in a road car. See caterhamcars.com.au.